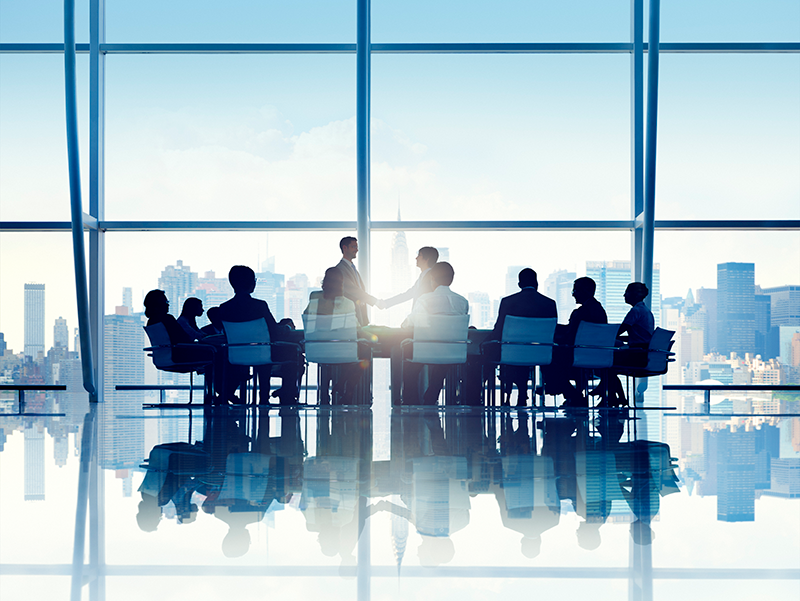 CPD has released a new discussion paper on the legal obligations of public sector corporate boards and directors to consider climate-related risks. 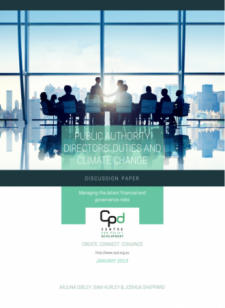 Public authority directors’ duties and climate change finds that these directors likely have duties of care and diligence to consider climate risk which are at least as stringent as the duties of private corporation directors. Its authors are Arjuna Dibley, Sam Hurley and Joshua Sheppard. Earlier CPD work has explored the obligations of company directors in the private sector to respond to climate-related risks. The highly influential Hutley-Hartford Davis legal opinion on climate risks, which we commissioned in 2016, emphasised that directors who do not properly consider and disclose foreseeable climate-related risks could be held liable for breaching their legal duties. This finding has been echoed by Australia’s financial and corporate regulators, including the Australian Securities and Investments Commission, whose Commissioner John Price told a CPD audience in 2018 that company directors should take a “proactive and probative” approach to climate risk. 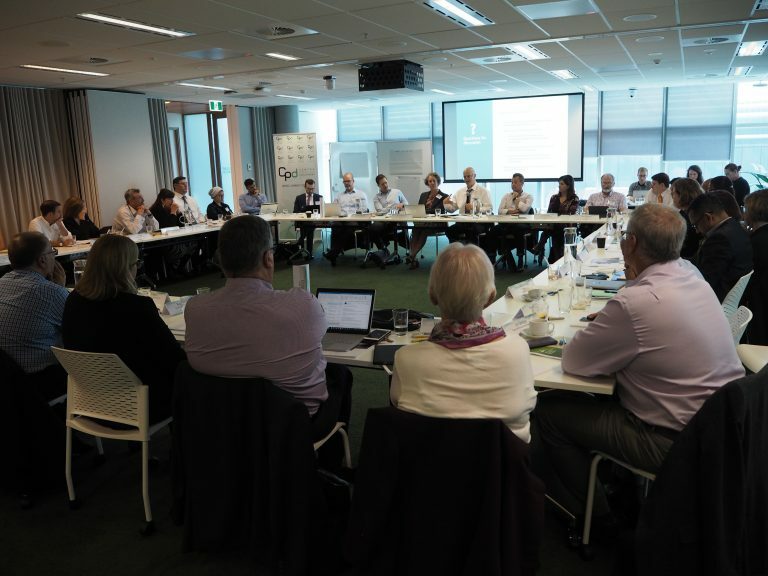 Public authorities are important institutions for managing Australia’s economy, and are both potential contributors to climate change and subject to climate risks. Public authority directors likely have duties of care and diligence to consider climate risk in their activities, which are at least as stringent as the duties of private corporation directors (detailed in Hutley-Hartford-Davis Opinion). 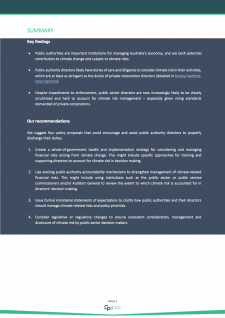 Despite impediments to enforcement, public sector directors are now increasingly likely to be closely scrutinised and held to account for climate risk management – especially given rising standards demanded of private corporations. Create a whole-of-government toolkit and implementation strategy for considering and managing financial risks arising from climate change. This might include specific approaches for training and supporting directors to account for climate risk in decision making. Use existing public authority accountability mechanisms to strengthen management of climate-related financial risks. This might include using institutions such as the public sector or public service commissioners and/or Auditors General to review the extent to which climate risk is accounted for in directors’ decision making. Issue formal ministerial statements of expectations to clarify how public authorities and their directors should manage climate-related risks and policy priorities. 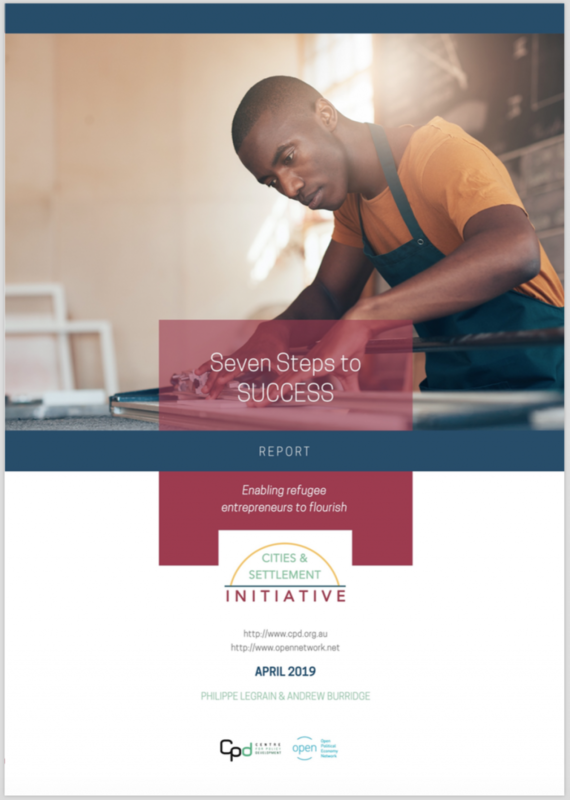 These findings and recommendations were discussed and refined as part of a roundtable hosted by CPD, Minter Ellison and the Office of the Commissioner for Environmental Sustainability, Vitoria, which drew on insights from public sector board directors, governance experts and climate specialists. The research which underpins the paper was developed in part through an internship program supported by Monash University’s Faculty of Law. 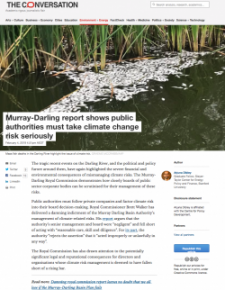 Murray Darling report shows public authorities must take climate change risk seriously, Arjuna Dibley, The Conversation, 4 February 2019. 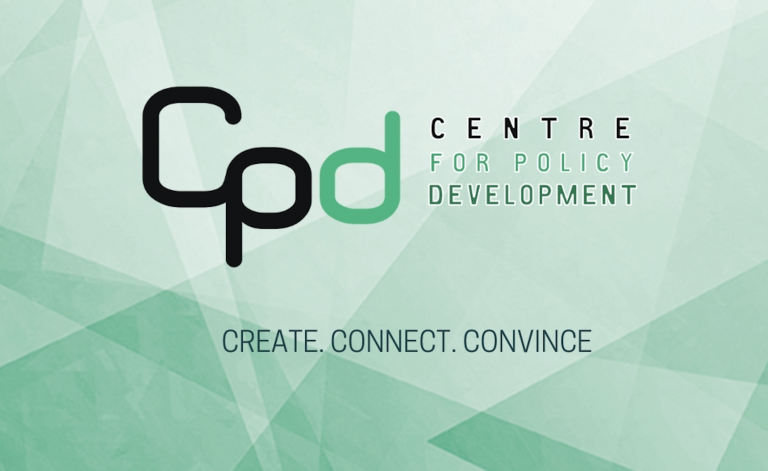 ‘Climate change’, ASIC Commissioner John Price’s address to CPD Forum, July 2018.